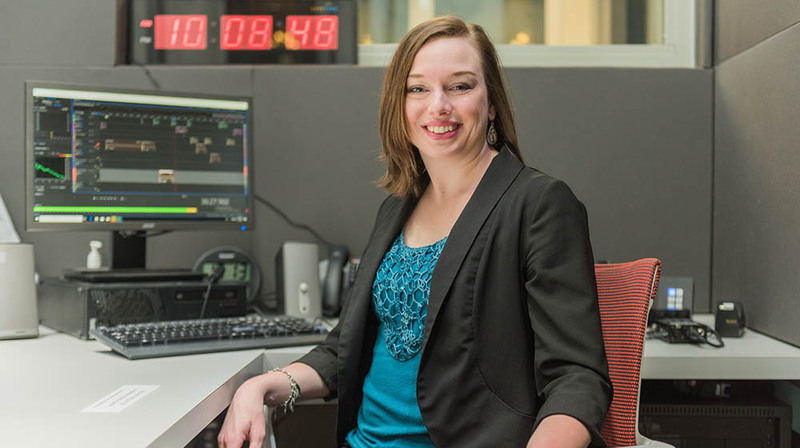 " I jumped at the opportunity to work as the graduate assistant at Point Park's new Center for Media Innovation and to have Andrew Conte, an award-winning journalist, as my supervisor. I saw this as a chance to further develop my skills and relationships." What factors led you to return to your alma mater to pursue a graduate degree? After working for two years as the Pittsburgh City Paper's multimedia editor, and prior to that freelancing for public radio and a few print outlets in Pittsburgh, I wanted to expand my skill set to become a better reporter, writer and editor. I jumped at the opportunity to work as the graduate assistant at Point Park's new Center for Media Innovation and to have Andrew Conte, an award-winning journalist, as my supervisor. I saw this as a chance to further develop my skills and relationships. What are your key responsibilities as graduate assistant for Point Park’s Center for Media Innovation? What kinds of opportunities are available to students in the CMI? Students can use the center's video, podcast and photography studios to bring their ideas to life. Several students have also used the versatile space for special events and as a place to exhibit their work. Tell us about your internship at the Pittsburgh Post-Gazette. I worked on the local news desk as part of the 2017 intern class at the Pittsburgh Post-Gazette. I wrote daily stories — covering city and county issues, community meetings, a criminal trial, and breaking news — as well as working on more in-depth environmental stories under the guidance of the P-G's environment reporter Don Hopey. However, my two largest projects occurred post-internship. I worked as enterprise reporter Michael A. Fuoco's producer on the PG's first serialized podcast that he wrote and hosted. The five-part podcast, "Three Rivers, Two Mysteries," was recorded and produced here at the CMI. Additionally, under the helpful guidance of my editor Lillian Thomas, I examined the city's recycling process and published a long-form article that appeared as an online interactive, with art by Dan Marsula, and in the newspaper's Sunday edition in late January. How is your graduate experience enhancing your work as a freelance journalist? My time as a graduate student and graduate assistant at the CMI has enhanced my freelance career. As part of my required coursework, I've been published twice by Pittsburgh Quarterly website and magazine. I've also been able to use the recording studio at the CMI to produce work for The Allegheny Front, a local public radio program that covers environmental issues. Additionally, through the partnerships that the CMI has fostered, I was able to use the recording studio here to produce and edit the most-involved freelance assignment I've ever had — the PG's first serialized podcast, "Three Rivers, Two Mysteries." The CMI has provided me with the technology, freedom and time to experiment with multi-platform journalism. How have your Point Park professors impacted you? My Point Park professors have provided me with encouragement, guidance and connections. My adviser Steven Hallock encouraged me to apply for both the Pittsburgh Post-Gazette internship and the opportunity to become one of Salon.com's "Young Americans" state correspondents. Both have been incredibly fruitful opportunities. My graduate assistant supervisor Andrew Conte regularly meets with me to work on my writing and provide career advice. I sincerely appreciate the time that Dr. Hallock and Mr. Conte have spent working with me.